Home › Ice Sculptures › Did You Know: The Iceman Offers Emergency Bagged Ice Delivery! 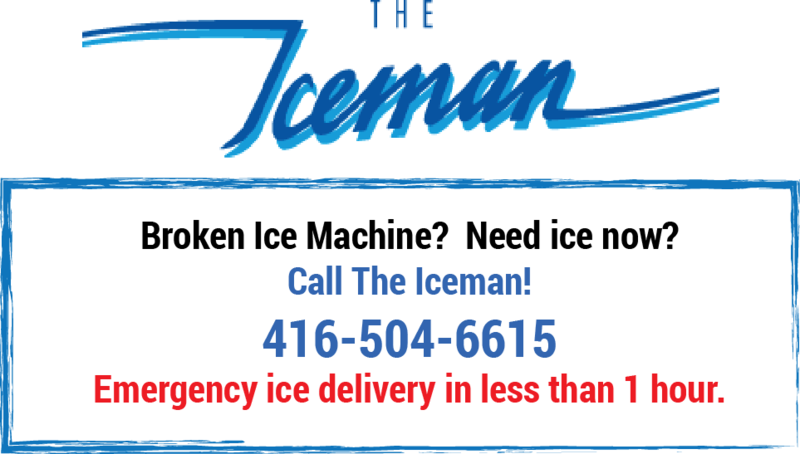 Did You Know: The Iceman Offers Emergency Bagged Ice Delivery! It’s Friday morning. You get into your restaurant to start prepping for a busy day. Everything is in order and running smoothly. The ice machine must have broken down overnight and now you’re faced with a limited amount of ice—not even enough to last you through lunch hour. You need ice and you need it fast. Maybe you’ve been in this situation before. It can be frustrating and stressful. It could cause you to lose significant profits because you don’t have something as simple and basic as frozen water. Save yourself the headache and hassle of driving to corner store to buy up every last bag of ice. Call The Iceman at 416-504-6615 for a rush delivery of high quality packaged ice. We’ll load you up with ice and we can send over an ice machine technician to fix the problem. Our ice delivery is fast and reliable. We’re Toronto’s leading distributor of bagged ice and we’re located in the heart of downtown. We can rush deliver a bulk order of ice within 1 hour to anywhere in the downtown core. (Minimum orders of 250 lbs.). We deliver bagged ice orders for restaurants, bars, parties, special events, festivals, conventions, and more—if you need ice, we’re the ones to call. Not sure how much ice you’ll need? Are you unsure of how much ice you go through on an average day? You can use our Packaged Ice Calculator to help determine how much you’ll need, or you can speak to one of our specialists who can get you on the right track. If you run out of ice, don’t have a meltdown. Call us at 416-504-6615. Keep our contact info handy in case of an emergency. Print out the card below. Post it in your office or laminate it and attach it to your ice machine. 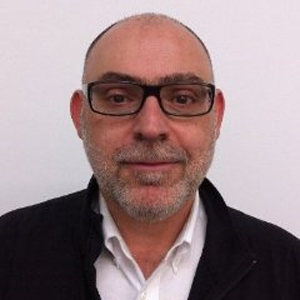 I’m the President and Owner of The Iceman, a business that was built from the ground up over the last 30 years. The Iceman is now Toronto’s largest distributor of packaged ice, dry ice, and ice machines. I thrive on the fast-paced nature of the hospitality sector and pride myself on providing the best customer service possible. I even started IceFX, an ice sculpture company, after one of my regular customers asked about purchasing an ice block for sculpturing. We’re now a one-stop-shop for event planners, restauranteurs, and party people across the city!